Nikos Vetoulas is Promitheas' new coach. 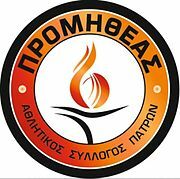 The newly promoted team of Promitheas announced the agreement between the team and the coach Nikos Vetoulas. The 42 years old Greek started his coaching career as an assistant coach for Aris in 2008. In 2010 Vetoulas became the head coach of Apollon Patras, the team where he started his career as a player too, and he remained the head coach of Apollon until 2015. In May 2016 Vetoulas moved to Switzerland for SAM Basket Massagno.